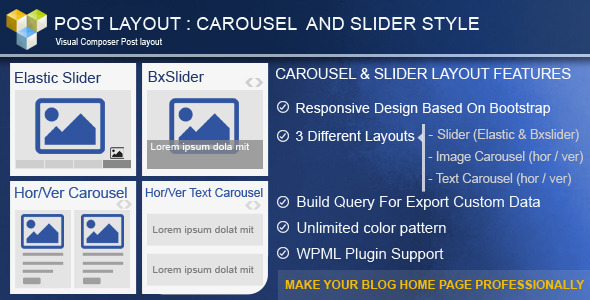 Carousel Effect : We provide 4 effetcs for Carousel`s Items. Test and enjoy! Hide Excerpt If “YES” Slider Excerpt will be removed. Hide Show More If “YES” Read more Link in slider will be removed. Link and Excerpt Font size Choose Font size for Link and Excerpt. This entry was posted in Uncategorized and tagged addon, carousel, custom post, database, feeds, forms, latest post, media, php, post, post effect, post layout, post shortcode, post slider, scripts, slide, slider, sliders, vc addon, visual composer, wordpress post, wordpress slider by Acty. Bookmark the permalink.